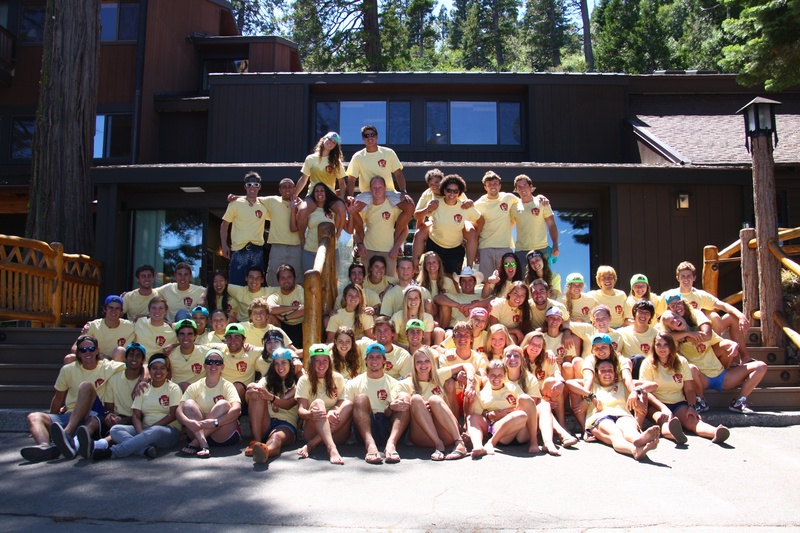 Our Stanford Sierra Camp management team is composed of passionate, kind hearted, intelligent, hard working, zany individuals that are brought together from all different walks of life by their love for and desire to give their all to Camp. This team keeps Camp thriving. Can you tell we love our managers? Dave is responsible for the overall management of the facility. With over 30 years at Camp, Dave can take on virtually any issue that arises. When Dave isn’t running around Camp, he and his wife Tamara have another full-time job: raising their two lovely and charismatic daughters, Danica and Tatum. Leanna is responsible for year-round operational management, as well as organizing & overseeing the summer program and hiring the summer staff. A past summer stapher herself (2011-2014: Chicken, Snoopers x2, Suaves), she has a special affection for summer. Originally from the Sierra Nevada, just a bit farther south from Tahoe, Leanna likes to combine exploration of the wild with quality family and friends’ time (i.e. hiking, camping, board games, and most anything outside), as well as pursuing her passions within rural health care. Leanna just completed her first summer as Assistant Director and is so looking forward to helping facilitate the conference season, while prepping for summer 2019. Matty is a man of the people – responsible for hiring the spring and fall staff, creating their schedules, and making sure conference seasons run smoothly. Matty hails from Hendersonville, TN and enjoys all things outdoors: mountain biking, snowboarding, camping and taking boats out on the lake. He loves his wife, Samantha, and enjoys sharing his life at Fallen Leaf with her. Megan is this year’s Summer Staph Director! She works on campus all school year long to hire our glorious, delightful summer staph and then supports them in making another magical and memorable summer at camp. She’s worked three summers before on staph, as a Menehunes (2015), Yahoos (2016), and Teens (2018) counselor. When not at Fallen Leaf (though, sometimes while here too), she loves to work on storytelling in all kinds of mediums (plays, fiction, essays, podcasts, improv), to be outdoors, and to try her hand at amateur water-color painting. She graduated from Stanford in 2018 with a degree in English with Honors in the Arts. She can’t wait to see you again this summer back at camp! Millie works with conference season coordinators to orchestrate a smoothly-running program in addition to answering any of your questions regarding our programs. In her free time, Millie loves to travel! She has been all over the world, including Antarctica for 6 months in the winter! As our reservations manager, Carrie handles the reservations for our summer program and Stanford affiliated conference programs. During the week, she is here to handle any reservation questions you may have. Carrie loves riding horses, hiking and gardening in her yard. Kristin works alongside Carrie to ensure your reservations are up-to-date and ready to go prior to your summer arrival. She is excited to meet all our guests and will be at Camp to help answer any questions you may have. Kristin first came to us from Strasburg, Colorado as an all-purpose staffer in the spring of 2018 and fell in love with camp. When she is not in the office, Kristin can be found out in Desolation Wilderness, hiking, camping, and frolicking in the meadows. She enjoys a well-made chai tea, dressing up in rally closet costumes, and eating bagels. A Maine baby but Virginia native, Samantha found her way to Camp in 2015, beginning as an All Purpose staffer before transitioning to Evening Office Assistant. She is a talented mountain biker, loves animals, her husband, Matty, and soft pretzels – not necessarily in that order. Tegan oversees all of the Human Resource & Accounting functions for Stanford Sierra Camp. Tegan’s main focus is taking care of our team members and ensuring they have a unique and one-of-a-kind working experience. She stands by her belief in an open door policy by creating open lines of communication. When Tegan isn’t out at Camp, she is located at our Town Office. During her free time, Tegan enjoys wake boarding, snowboarding, volleyball, running, softball, climbing and just about anything outdoors. Morgan works to book and organize the many conferences, weddings, retreat groups, and businesses that visit Camp in the spring and fall. When not working, you can find Morgan geocaching in the local vicinity, doing a crossword at the picnic tables, or displaying his talents on the volleyball court. Derek came to us from the beautiful Roanoke, Virginia, bringing his creativity and aptitude for program development to the Fountain and beyond. He either designs or hand selects our unique assortment of items for the Fountain and assembles our wine list from Stanford affiliated vineyards. In addition to making loads of milkshakes, Derek enjoys long cups of coffee, reading by the boat dock, and running around outside when the sun is shining. Jan is responsible for making sure that your stay is as cozy and clean as possible. In her off time, Jan has taken to overseas travel and especially enjoys working with animals. 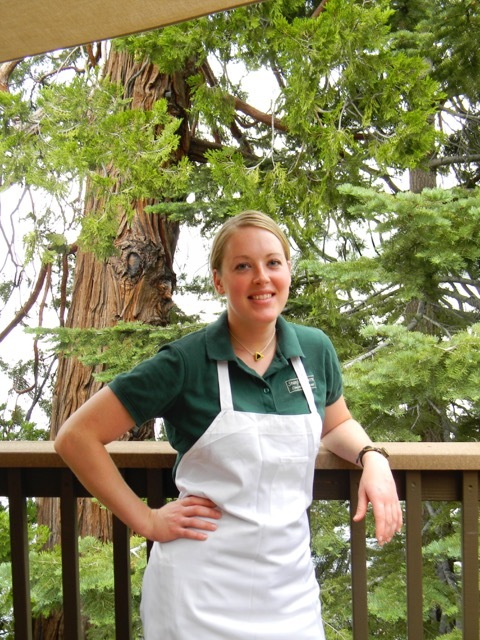 Casey comes to Stanford Sierra from San Francisco, CA as part of our housekeeping staff. She loves everything outdoors and all things food. When Casey isn’t working to keep the property spotless, you can find her painting a masterpiece or lost in the mountains…good luck finding her! 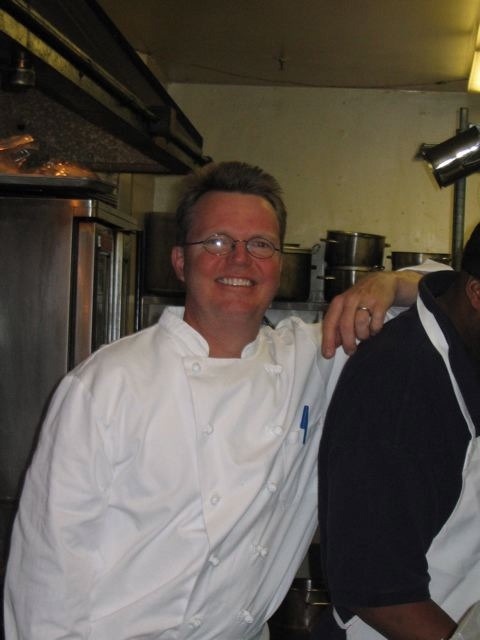 Dave, also known as “D”, oversees all kitchen and dining room services. Dave is responsible for creating the dynamic and flavorful menus for all seasons and has an acute eye for delicious foods. In his free time, Dave enjoys hiking, biking, and spending time with his son. Tara hails from Cleveland, Ohio and has been here at Camp since Spring 2013. She brings her extraordinary culinary skills each day to make delicious meals for all to enjoy. 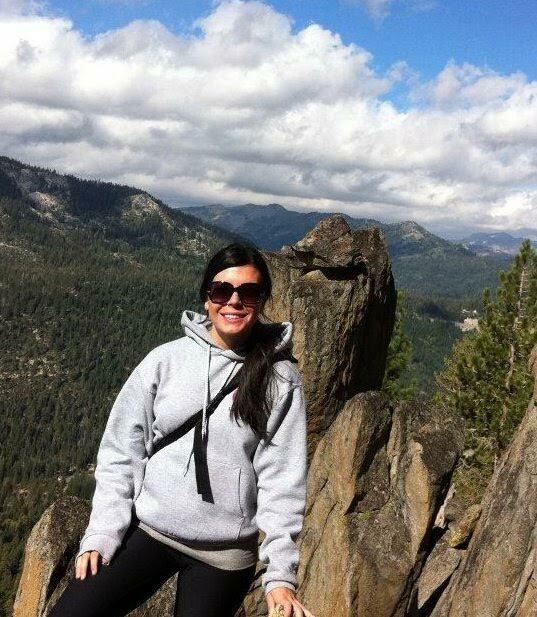 Stephanie is originally from San Francisco, but is very excited to call Fallen Leaf her home. She has spent a lot of time in different kitchens throughout her life and is thrilled to be working in the kitchen here at camp this summer. 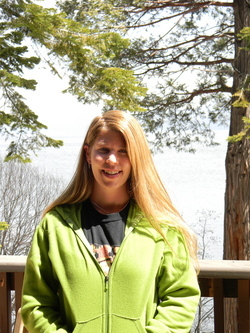 In her off time Stephanie can be found out on the lake fishing or on a good hike. Bruce brings excellent carpentry skills and attention to detail to his job maintaining the grounds. You will see Bruce’s unique and beautiful wood trim fixtures in various places around the lodge. Bruce is also an artist, avid reader, and has a wealth of historical knowledge. Jason found his way to Camp back in the fall of 2008 and has since then made it his home. 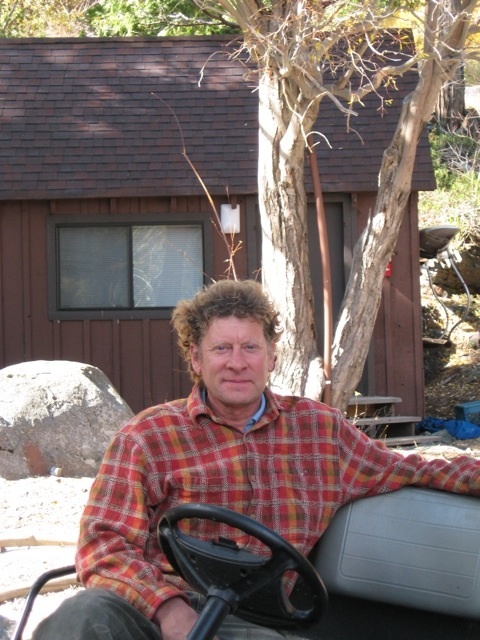 He can be found working on everything from electrical issues to the Camp’s wireless Internet. He is a vinyl record collector and enjoys learning about new sources for alternative energy and living sustainably. Don’t hesitate to ask him for help when it comes to any maintenance issues, he is very knowledgeable in many areas. Jason moved to the mountains of Lake Tahoe from Iowa in the summer of 2008. He enjoys the views of Fallen Leaf Lake every morning from his cabin. He can be seen all around Camp either painting or doing a number of other beautification projects. John is New Hampshire born and raised but has been traveling seasonally for a few years now. This will be his 5th year at camp! He’s in to music, film, writing, dancing, and good conversation. You’ll probably find him telling jokes to anyone who will listen or planning above and beyond social events for the staph. Zach, a passionate runner from Dearborn, Michigan has been lending his hands to Camp since 2015. He likes cats, traveling and sports – especially when Michigan is involved. You’ll often see him running through Camp, coming back from one of his ultra runs. Look him up on Strava and ask for Zach if you’re interested in accompanying him on a guided trail run! Jonny escaped the bonds of oppressively humid summers and cold for nothing winters of Hendersonville Tennessee in 2013. He somehow meandered his way to Lake Tahoe that Spring and has spent the majority of his time here since then. Things he’s into: long walks on Baby Beach, baby animal gifs, and getting his hair braided. Things he’s super into: painting minis, spending time in his van ‘Helga’ exploring back roads, enjoying every single thing that our little home in the woods has to offer. He’s super excited about this summer here at camp and looks forward to seeing everyone. 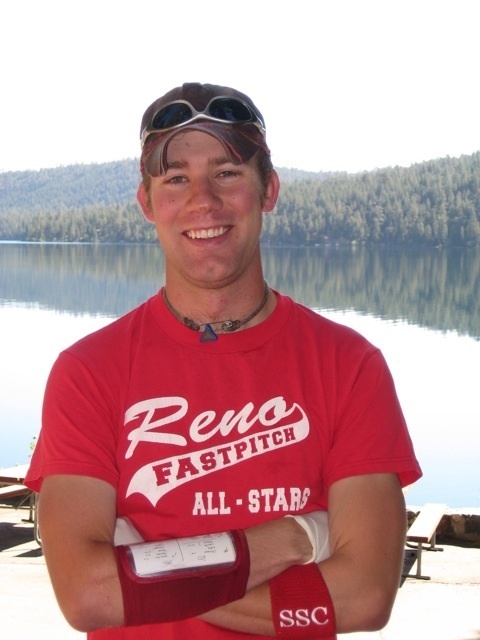 Sam hails from the plains of central Illinois but has spent much of the last few years building trails and being a lumberjack in Montana, Alabama and Nevada. Last year, he took on the black of the Night’s Watch and is looking forward to another great year. Sam is always looking for new adventures and new friendly faces. Kaitlyn comes all the way from the east coast, hailing from the tiny town on Coventry, CT. She is currently the breakfast chef, but wears many hats in the kitchen, including baker, plater, and candlestick maker, and has even done a winter stint, constructing a number of lovely hang-outs around camp. Kaitlyn has been with us since the Spring of ’14 and has no plans to leave just yet. Connor has been with camp since the Fall of 2015, spending long hours on the hot line of the kitchen, spicing up dishes with his urban flare. From Bensalem, PA, just outside Philadelphia, Connor loves dogs, cats, and volunteering for local campaigns. He is always willing to talk politics or discuss his favorite episodes of The Office. Connor is currently the “lead cook” in the kitchen, responsible for turning out only the best of foods on a nightly basis. He also loves extra sharp cheddar cheese. A current core member of the kitchen staph, Avery is a sous chef-in-training. A lover of bacon, white rice, and nothing else, his palate is as keen as any Michelin star chef. Avery got his culinary start in his hometown of Appleton, WI, putting cheese on everything, including fried cheese curds, and hasn’t looked back. Any cheese dish (or bacon) coming from the kitchen has the delicate touch of Avery written all over it. Phil is also a Wisconsin boy, arriving with his cousin Avery from Appleton to likewise join the kitchen here at SSC. Unlike Avery, Phil is lover of all foods, especially Mediterranean and Middle Eastern. An avid fisherman, he can always be found at the Glen Alpine Creek, rod in one hand, trout in the other, fighting off bears attempting to steal his hard day’s work. A member of the kitchen staph for his second summer, Stevie Wonderful spends his spring and fall as an AP staph member for the conference season at SSC. Also from Bensalem, PA, he went to college in Philadelphia then made his way to California and found himself at camp and fell in love. Stevie is an avid reader and writer, channeling his inner John Steinbeck while on Fallen Leaf, and can always be seen with a cup of coffee before bed. Mason, AKA the Boy King of Roanoke Virginia, is here on his first venture out to the West coast. He worked his first season this past spring and fell in love! He is very excited to be staying for summer in the kitchen with his best pal Derek Lynn. In his free time Mason likes working out, being the cutest person at camp, and wrestling bears. Each year we employ 61 Stanford students to bring imagination, creativity, innovation, and passionate ideas into the summer program. Whether mechanical engineering or art history majors, these students provide vibrancy that energizes and drives Camp throughout the summer. A little more about A.J. : After an indescribable first summer with the Munchkins, A.J. (2020) is stoked to be back at camp again this summer as a *SKI DOCK INSTRUCTOR*! From living out his dreams of being a merman to hanging with 3– and 4–year olds to swimming across the entirety of Fallen Leaf Lake, A.J. can’t wait to see what this summer has to bring! If you find yourself at the Ski Dock, feel free to chat with A.J. about education, travel, mental health, what his favorite tea is, writing, or anything in between. At Stanford, he’s been involved in Stanford University Dance Marathon, Sophomore Class Cabinet, Pilipino American Student Union, and will be an RA in Cedro next year! During the 2018 hiring season, A.J. also was on ICOM (the interview committee) as a CDI (Coordinator for Diversity and Inclusion). Working alongside some of the brightest, most passionate Stanford students showed A.J. just how important diversity at Camp truly is! With this in mind, he is ecstatic to continue to bring a diverse, engaged Staph to Camp and hopefully showcase ALL facets of life that the Stanford community has to offer. Three things I love to do at Stanford outside of class: Run! Watch Stanford sports! Play Frisbee! I could talk all day about: Sport, particularly cricket, college football, baseball and track! A little more about Aidan: Born in Wellington, NZ and having also lived in Paris, Aidan has a wide variety of nationalities and experiences to chat about! Aidan grew up in sunny Melbourne, Australia and will take any opportunity to mention that he is Australian. Aidan loves to talk about politics, sport, engineering and dogs and is incredibly excited to be working as one of the mountain bike instructors and in the office this summer! If at any time in camp you can’t find Aidan, it is probably because he is off running on the beautiful trails, and he would love people to run with. A little more about Alida: Alida could not be more stoked to be returning to camp for her third and final summer, and is ready for MIDOS 2.0! Born and raised in Bermuda, Alida loves the beach, the ocean, and anything to do with water (and she is also super excited to have another Bermudian on Summer Staph!). Alida loves animals and is destined to be an old bird lady someday. After her first summer in the Chicken, Alida can make fried eggs at a rate of 200 per hour. Alida just graduated with a self-designed major combining Product Design and Earth Systems, and next year she will be pursuing a Master’s in Sustainability Science & Practice. Alida hopes to pursue a career in design or sustainability (or both!) next year, and would love to talk to anyone within these fields! A little more about Alison: Alison is so excited to return for her third year at Camp. She is thrilled to be the very first stapher who is from San Francisco, has brown hair, a little brother, only broken one bone, and grew up on top of a hill. She is thrilled to also be the very first stapher who spells her name with one L, has flat feet, is shorter than 5’3″, and can whistle really well! But in all seriousness, Alison is most excited to work with the Snoopers for her third year. I could talk all day about: Anything…if we’re speaking Spanish! I love to practice my language skills with new people. I could also go on for days about women’s health, travel, craft beer, public service, and pickles. I would love to connect with guests who work in fields related to…: Health, especially women’s health! A little more about Anna: After two consecutive summers abroad (first in Myanmar and then Bolivia), Anna is stoked to spend a summer at Sierra Camp before she moves to Guatemala in the fall to engage in community health work. As goofy as she may seem, Anna is fiercely dedicated to pursuing a career in obstetrics and hopes to utilize her Spanish-speaking skills in her future career! Outside of the classroom and when Anna isn’t working at her favorite place on campus (the Haas Center), she is a spike ball (and soccer and lacrosse and frisbee golf and corn hole and running and yoga) enthusiast who finds any and every excuse to play a game on the lawn with friends while soaking in the beautiful California sunshine. Though her favorite food(s?) is (are?) pickles, she LOVES to make her own hot sauce and is super pumped to put her culinary skills to use in the CHICKEN this summer!! Anna is excited to co-lead Women’s Breakfast at camp, and can’t wait to chat with guests about her passion for travel, health, and… well, just about anything! She’s also looking to learn a talent (other than being able to make a Mini Cooper car alarm sound), so if you have ideas, be sure to find her! I could talk all day about: Wakeboarding and waterskiing! But actually music. I love meeting people who play music. Three things I love to do at Stanford outside of class: eating brunch, getting outside (to the beach or on hikes), looking for dogs to pet! A little more about Bella: Bella was born and raised in the beautiful Anchorage, Alaska and is soooo pumped to be a Munchkins Counselor this summer! She loves the outdoors with a passion and you can find her doing anything from hiking and skiing to fishing and swimming in the cold Alaskan oceans with her friends. Bella started dance when she was 3 and has been doing classical ballet, modern, jazz and many other types ever since. Feel free to come ask her about anything— from her many Alaskan adventures to working on the only waffle food truck in Alaska (a rare gem). Bella also loves learning from and getting to know new people so she is super excited to meet the amazing guests this summer! You want life to be awesome? I could talk all day about: American lit! Rowing! 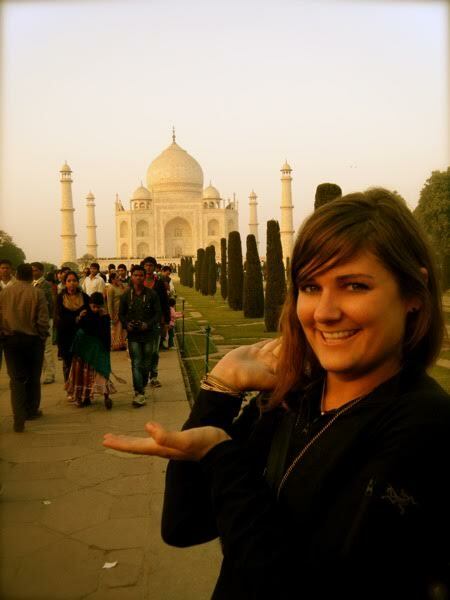 Travel recommendations from worldly camp guests! A little more about Callie: Callie Heiderscheit: a Scorpio, an INTP, a bad (but trying) writer of biosketches, and a good (but not trying) writer of detailed fortune tellers aimed towards 7-10 year old audiences. A girl who, despite studying literature and creative writing for much of her college career, is pretty sure her grammar has been shaky since the first colon but actually isn’t entirely sure. She considers her spirit characters from The Office to be a careful mix of Toby and Kelley but is hoping one day to be more of a Phyllis. She loves afternoons relaxing by the lake, dining on brie cheese and hot fudge, and perusing the Swamp Thing comics while looking for plot holes (the apocalypse in Book 4 lasts like, five seconds?). As a sister of three, daughter of two, and counselor of many over the years, Callie considers herself to be a very, very lucky girl. She loves to chat about education, books, movies and her adventures as a paper girl in Iowa. She’s ready. She’s excited. She’s prepared to maybe, just maybe, catch her first ever crawdad. It’s Yahoos 2k18, folks. Come hang. You won’t rAgret it. Major: Biology(focus in Ecology and Evolution), and a minor in Psychology! Three things I love to do at Stanford outside of class: Listen to Star Wars’ Cantina Band on 10 hour loops, Eat goldfish and whip-cream at the same time (trust me its beyond delicious), Play board games (I freaking love code-names, highly recommend it). I could talk all day about: Cool Animal Facts. All. Day. Long. If you have heard of any cool research into behavior of animals or humans pleeeaaase feel free to talk to me, I live for hearing about these studies that just blow my mind. A little more about Chris: Chris is from Los Altos Hills, California, and is the oldest of 5 children; 4 younger sisters which are divided up into two sets of twins. In addition to sisters and parents, his family includes a (chubby) golden retriever named Ginger, two cats, a snake named Slithery, and a bearded dragon named Spiky (I got Slithery and Spiky in Kindergarten and if I’m being honest I could have been a lot more original with these names). He is SUPER EXITED TO BE YOUR SNOOPERS COUNSELOOOOOOOOOOOOOOOOR and is finally going to be among is own people since he is really just an overgrown 5 year old. If you ever want to find Chris, he can be identified by looking for an individual wearing star wars shirts and/or socks and crocs, and is probably sunburnt somewhere, or if you say something along the lines of “Yeah, I love Star Wars Music!” or “5 corndogs is a perfectly healthy and balanced meal” he is actually contractually obligated to stop whatever he is doing and run to give you a high-five. Three things I love to do at Stanford outside of class: Sketch comedy, musical theatre, and photography. I could talk all day about: Stand-up comedy and good baking recipes! I would love to connect with guests who work in fields related to…: Stand-up comedy and good baking recipes! A little more about Danika: Danika Lyle is extremely excited for camp! Born in Los Gatos, California, Danika, known by most as Dani, is in love with her state, it’s people, and it’s beautiful beaches. Danika has spent the past ten summers hiking and canoeing in New England, and is excited to give the California mountains a try. At Stanford, Dani is involved in musical theatre, screenwriting clubs, a sketch comedy team, and a satirical news organization. Dani hopes to one day write movie scripts alongside her best friend and sister Lane. Ask her about her Crocs, she’s got 20 pairs. Or, if you can handle it, ask her about her love of Disney. Dani is so excited to start her first summer here as a Midoree’s counselor. Guests can feel free to chat with Dani about anything and everything! A little more about Deirdre: Deirdre is a sophomore from the great state of Washington who is THRILLED to be spending her first summer at Camp as Kids’ Naturalist and Boat Dock Coordinator. 3. Her upcoming “study abroad” program in Hawaii, focused on Earth Sciences! 7. Geokids! Last year Deirdre volunteered as an environmental educator with Geokids, teaching second graders about rocks, minerals, and soil. SCIENCE ROCKS! 10. Meditation, mindfulness, and yoga: Deirdre’s goal for the year of 2018 is to cultivate strong practice in these areas and loves seeking advice and inspiration! I would love to connect with guests who work in fields related to…: tech! A little more about Dylan: Dylan just finished her junior year at Stanford, where she studies CS and is a member of the synchronized swimming team. She’s from a suburb near Toronto -ask her exactly where she’s from and she’ll get confused. She loves everything Canadian: hockey (Maple Leafs), being nice, and of course Beaver tails (tasty treat). She also loves pickles and turtles. She’s so excited to be back on the ski dock this summer and is looking forward to months filled with fun! A little more about Edward: Edward is a freshman from Southern California excited for his first summer at camp as a Hunes counselor! Growing up in a traditional Mexican household with immigrant parents in the middle of SoCal has completely shaped the type of person that Edward is, so feel free to ask him more about it. As a middle child with two sisters, Edward found himself constantly transitioning between sports with his dad and playing with clothes and dolls with his sisters (probably the reason for his interest in clothes and shoes). Since then, Edward has pursued a variety of his interests, tinkering with robotics, playing club soccer, collecting and reselling shoes, working at a Chinese-owned sushi restaurant, dabbling in college consulting, joining Stanford Dragon Boating, and most recently pledging Phi Psi. 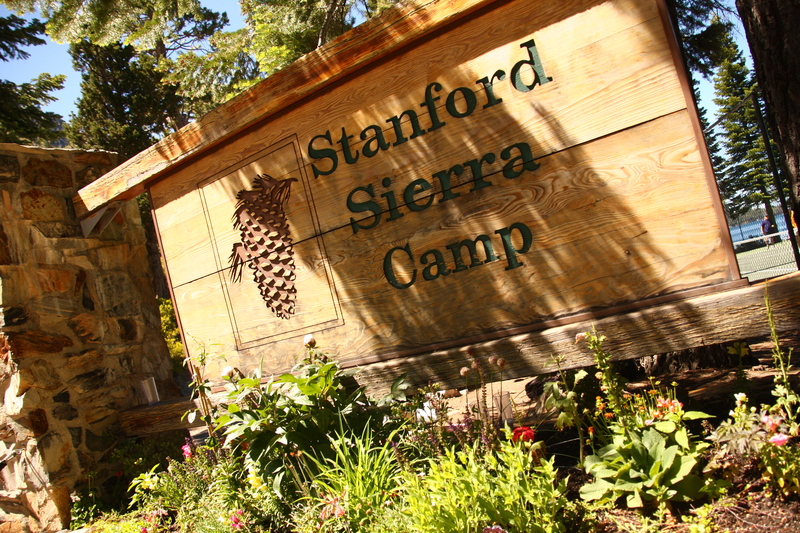 Edward can’t wait for a magical summer at Stanford Sierra Camp. I would love to connect with guests who work in fields related to…: Design, Tech, Law, any field that you’re passionate about! A little more about Elle: Elle is SO EXCITED to be back for her third summer working at camp (and second summer as the yoga instructor!). Elle has been coming to SSC since she was a tiny Menehune herself, so the camp community means a lot to her. Her hobbies and interests are all over the place (want to talk about fashion? Collegiate debate? Long distance running?) so come talk to her about anything (she loves to talk). Come see her up at the Snooper Chalet for some yoga classes, in the fountain debating the merits of different candies (Peanut M&M’s are objectively the best), or wandering around camp trying to pick the brains of all of the interesting guests and staph. She can’t wait to meet you! I could talk all day about: Bouldering! A little more about Erika: Hi there! Erika (’18) spent the past two summers at camp cooking meals and teaching people how to scramble up rock faces. She fell in love with the energy of Camp, the community, and of course, the lake! You can often find her hammocking near the rock wall, reading a book on the boat dock, or fantasizing about how she can stay at Camp forever. She just finished her senior year (!!) at Stanford, where she majored in MS&E and minored in Spanish. She loves everything about the outdoors, listens to podcasts in all her spare time, and drives her roommate crazy because all she ever talks about is Camp. This summer she’s the Individual Instructor Coordinator (IIC), so she gets to spend her time hanging out with some of the most talented people on staph (only slightly biased). She’s eager to meet any guests with knowledge, experience, or interest in writing for TV (would love to learn more!) and is so excited to finish her Stanford career with one last summer at Fallen Leaf. Three things I love to do at Stanford outside of class: Watching old films, reading outside in the sun (especially Cormac McCarthy), and visiting gardens! A little more about Ethan: Ethan was born in southern Virginia in Hanover – a county known for its tomatoes and festivals. That might explain his passion for folk and folk pop music. He’s loved camping since he was young, and is excited to be able to spend so much time in the California outdoors! Ask him about his secret technique for making the perfect s’mores. To get to Stanford for the first time, Ethan drove all the way from Virginia and stopped at so many incredible places along the way. Some of the highlights were spending a couple of days working on a family pecan farm in Kansas and eating at a small café in a 900-person town in Utah. Because of this trip, he knows a little bit about a lot of the United States, and wants to learn more about all of it. Ethan is super enthusiastic to spend his first summer at camp with the Yahoos and he can’t wait to meet you! I could talk all day about: Community organizing! Jewish life! Middle East peace! My newfound love for field journaling! A little more about Eva: Eva Borgwardt is STOKED to be back at camp and hanging with the Yahoos this summer! She’s always loved being silly, dancing, and trophic levels, so it’s a great fit. She’s interested in politics and community organizing, and is jazzed about applying some tactical thinking to Capture the Flag strategies. Eva grew up in sunny Palo Alto and moved to Saint Louis a few years ago, but, thanks to her grandmother, has been sporting Red Sox gear since she was zero. Some of her favorite things to talk about: protest movements, Judaism (and whether she wants to be a Rabbi when she grows up), Shakespeare, sibling dynamics, Baldwin, and FOOD. She’s also the theater instructor, so hit her up if you’re feeling an urge to exercise your dramatic side in the weekly play (highly recommended, 10/10 past participant satisfaction, small chance all your deepest wishes will subsequently come true). A little more about Gabri: Gabri is a rising senior from north county San Diego who is incredibly excited to be returning for her second summer at Sierra Camp as a SUAVES counselor! Easy ways to make conversation with Gabri include asking about her experience as one of the Coordinators for Diversity and Inclusion on Sierra Camp’s interview committee this year, about her favorite beaches in San Diego that she misses so much, and about how her Grandparents fell in love. You’ll generally find Gabri dancing in situations that don’t require dancing or, perhaps, you won’t find her at all because almost all the suaves are taller than her. Her favorite classes allow her to question the role of identities within tech and her favorite professors are the ones who simultaneously intimidate and inspire her. She thinks that grape is the Ringo Starr of candy flavors. She has a pretty cool wooden picture frame collection. She once mistakenly ended up on a train an hour and a half outside Barcelona, soley because of her commitment to fail through fast space Spanish conversations. Gabri is so so happy to talk or dance with you– she is always ready for either. A little more about Grace: Grace just graduated and is stoked to finish out Stanford with one more summer at camp!! Born and raised in Annapolis, MD (aka the sailing capital of the WORLD), Grace loves all things water-related – whether it be swimming, sailing, or waterskiing, she is likely to be spotted next to lake! When she isn’t right by the water, Grace can probably be found scoping out good reading spots around camp, heading for the trails of the beautiful Desolation Wilderness, drinking a yerba mate and chatting with guests at the fountain (because if college gave her anything, it was a caffeine addiction…), or hanging out with the boisterous SNOOPERS!!! Please feel free to chat with her about Stanford, the ~magic~ of camp, or anything else that comes to mind – she loves learning new things and having lively conversations!! A little more about Hannah: Born and raised in Bermuda, Hannah loves the ocean and cannot wait to work on the lake this summer. She prides herself on being up for anything – especially if it involves nature, food, or dancing. Hannah loves her family and is constantly blown away by all of the amazing people she meets at Stanford. She is overjoyed to be working at Camp this summer with so many talented, beautiful, amazing people. A little more about Hannah: Hannah was born and raised in the beautiful Black Hills of South Dakota. Growing up, she spent most of her time hiking, mountain biking, camping, climbing, and yes, going to Mount Rushmore multiple times a year! When she wasn’t outside, Hannah could be found drinking “just one more” cup of coffee, drumming until she couldn’t hold the drumsticks anymore (or until her family needed some peace and quiet), and eating mangoes. Luckily most of these hobbies (excluding visits to our stone-faced presidents) have stuck throughout college. Now she spends most of her free time searching for new hikes near campus, lounging on Meyer Green with her friends, and of course, she’s still drinking coffee!! • Just about anything else that you want to talk about !!! A little more about Ian: Ian recently graduated with a degree in Symbolic Systems and will be returning to Stanford in the fall to complete the last quarter of his Masters degree in Computer Science. In his free time, Ian likes playing guitar, surfing, climbing, and taking photographs outside. After two summers of being an outspoken proponent of the Boat Dock, Ian has jumped ship (haha) and turned to the dark side that is Ski Dock. He can’t wait to teach kids how to catch crawdads and maybe ski a little bit too. If you thought it was tricky telling Ian and his brother apart for the last two summers, get ready because they’re working together on Ski Dock this summer! Three things I love to do at Stanford outside of class: Swim, write, think, photography, music. The thing I love most is learning new skills! 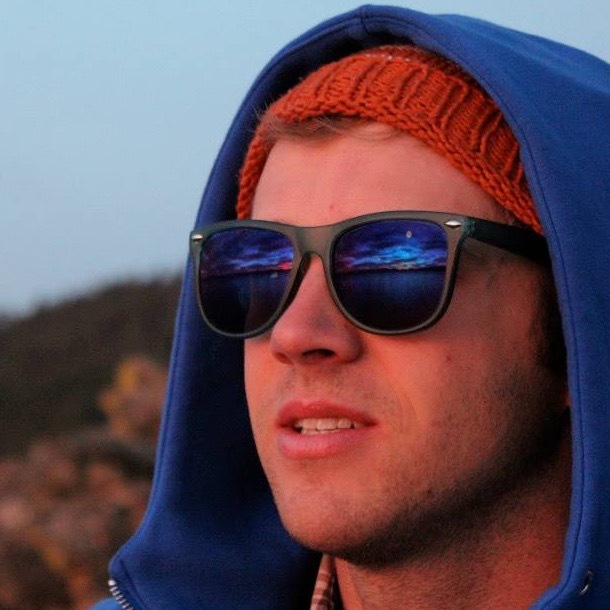 A little more about Jeffrey: Jeffrey grew up in the bay area, thriving on humor, music, nature, and arguments. He will bring his love for the outdoors and eagerness to try new things to SNOOPtown this summer. He likes to look up at the stars and wonder about his place in all of this. If you have a dog, you are his new best friend. Last year, he took his talents abroad to work and travel, coming back a changed man ready to SNOOP around Sierra Camp for the summer. Please talk to him about philosophical conundrums, animals, the latest in sports news, golf carting around Stanford with a broken ankle, and his love of adventure. Please refrain from talking to him about that time about a month ago when he fell asleep while getting his hair cut. Tell him your best dad joke. Have a pun competition with him. Be prepared to lose. I could talk all day about: Pop culture, music, TV, or film! I would love to connect with guests who work in fields related to…: politics, communications, entertainment, music, tv, or film! A little more about Jordan: Jordan, and is a washed up climber but is super stoked to get back into it as rock climbing instructor this summer. She is red head from Tennessee (although Jonathan definitely fills this niche much more strongly than she does, so if you can figure out her new role at Stanford, hit her up.) Jordan loves all kinds of outdoor activities, but has focused a lot more on backpacking at Stanford. She leads trips for SOE and is on the leadership team for SOOP because she loves spending time with youth in the outdoors and is passionate about making the outdoors more accessible and breaking down stereotypes. I could talk all day about: Soccer! A little more about Jordan: Although I am now a young adult in college, I still feel like a kid at heart. Yes, making the decisions that will determine my future profession and lifestyle can be pretty scary, but I try not to look at this responsibility as a laborious chore, but instead as exciting exploration. Whether it’s grinding chocolate (mountain biking) on the trails off campus, sketching sneakers in the art studio, exercising with friends, or touching human brains in psychology class, I have explored what kindles my fire. As I look to further my discovery, there is no better place to do so than at Sierra Camp. Within the home of exploration and youthful enthusiasm, Camp allows for its members to get back to basics. To learn, create, and work with others of all shapes, sizes, and ages not only uncovers the beauty in the diversity around us, but also the capacity and potential within ourselves. Three things I love to do at Stanford outside of class: cultivating my succulent garden, attending baseball games, board games! I could talk all day about: growing up in Maine, my experience as a student-athlete, and baked goods! A little more about Julia: Julia grew up just outside of Portland, Maine, where she developed her passions for sailing and skiing and a wide variety of other activities under the sun ranging from gardening to lawn games. She is incredibly excited to share her excitement for sailing with guests as well as hone her remedial cooking skills in the Chicken! With life after graduation and camp looming, Julia will be eventually moving to San Francisco after graduation and welcomes any advice for navigating the city! A little more about Kady: Kady Richardson was raised in the Bay Area, where her love of California, Stanford, good (and interesting) food, exploring nature, and experiencing diversity of community all began. She has a special place in her heart for the Tahoe area, and has spent time every summer in South Lake and time every winter skiing at Alpine Meadows. She just finished her senior year, but has finagled an extended stay on the best campus every by co-terming next year in Sociology, which she is super excited to talk about! She is a big fan of TV (although sometimes she wishes she wasn’t quite SO proficient at getting through shows), trying new podcasts, going to concerts (she is proud to say she just achieved a personal milestone of seeing 150 artists), reading good books (recommendations, please!) and CAMP. Incidentally, she is also a big fan of talking, which she would love to do with you about anything and everything. After a magical summer with the munchkins, Kady can’t wait to bring her energy to all the kids at camp as KGC! A little more about Kaitlyn: Kaitlyn is a recently graduated senior ready to soak in a summer of Camp for the third time! You may have seen her passing on Elsa’s magic to Munchkins in 2015 or carrying around the KGC radio in 2016 (or visiting Camp on breaks from research in 2017…), and she can’t wait to finish out her SSC adventure back with the Munchkins. Her years at Stanford have involved many things—NCAA softball, a degree in Computer Science, four sprained ankles—but none more transformative than her time spent at Camp. “Lagattuta” became “Lagatoots” became “Toots;” “Kids are so interesting” became “I love to work with families” became a pile of applications to MD-PhD programs in Pediatric Oncology. Please come talk to Kaitlyn about anything and everything; she only acts like a three-year-old for a few hours of the day! A little more about Katarina: Katarina (or Kat) is a junior at Stanford. She was born in Amsterdam, NL, but she’s lived in Portland, OR since she was 6. Growing up in Portlandia meant plenty of time for hiking, skiing, camping, and other outdoor activities. Last fall, Katarina studied abroad in Italy where she learned a bit of the language and a lot about pasta. She’s so excited to bring her culinary passion to the Chicken this summer! Ask her about where to eat in Portland and how to say things in Dutch. A little more about Kyle: Back for a third summer!!! Whew. What a ride it’s been. Since my first summer as photographer back in 2016, I have graduated college, started a Master’s program, studied abroad in Florence, went nearly three years without a haircut, learned how to weld, water ski, and waltz, and, above all, found myself. Seeing as this is probably my last summer at Camp, I would love to create some lasting connections with guests to take forward into both my professional career and my personal network. Please don’t be afraid to say hi! Three things I love to do at Stanford outside of class: Play drums in the band! Play softball! Anything outside! A little more about Lauren: Lauren is a junior from Alaska and stoked for her first summer at the place she’s heard her friends describe a few hundred (thousand) times as the most wonderful, amazing, craziest, and loving place on Earth… Sierra Camp!! As a 7-year-old at heart, she can’t wait to be a MENEHUNES COUNSELOR this summer and share her love for donuts, playing in the dirt, and imagination with the youngsters that will truly understand her best. Come talk to her about her home state (she’s quite obsessed with it), the crazy student-athlete life, playing in the Stanford Band, and how her dog follows her around the country to watch her play softball! As a huge sports fan she’s also always ready for a quick game of catch, a serious discussion of how the Texas Rangers will make it back to the World Series, and any opportunity to try something new or learn a new skill! HERE’S TO A MAGICAL SUMMER!! A little more about Maddy: Hey what’s up hello! I’m Maddy, I’m totally normal, and I’m stoked to work in the Chicken this summer! I’m from Carlsbad, which is just north of San Diego (totally normal place), and when I’m home my favorite thing to do is lay on the beach (also normal). I love the planet, a very normal place, so talk to me about anything sustainability related. I also love sports, and played on the field hockey (a normal sport) and lacrosse (also a normal sport) teams during my four years at Stanford. I’ve just graduated but am stoked to stick around another year at Stanny (totally normal nickname) and get my coterminal MS degree in Earth Systems! I’ll be studying abroad in Australia, a very normal continent, so if you have any tips, tricks, or travel advice hit me up! A little more about Maggie: 19 years ago Maggie was born on Stanford campus and then never left. She grew up in Los Altos (a whopping 10 minutes from campus) and went to middle and high school at Castilleja (across the street from campus). She has gone to SSC since she was one month old and has always dreamed of working at camp. Maggie’s love of music first started in kindergarten when she joined choir and only grew from there. In addition to singing, Maggie learned to play flute, then saxophone, ukulele, guitar, and piano and is incredibly excited to be the music instructor at camp this year. When she isn’t playing music, Maggie can be found reading a book (either a fantasy book or a history book), debating politics, or laughing loudly. A little more about Marcus: Marcus is a junior born and raised in Malmö, Sweden, the gateway between Scandinavia and the rest of Europe and birthplace of such luminaries as LA Galaxy forward Zlatan Ibrahimovic (who went to the same high school as Marcus!). He is deeply interested in education, having spent one gap year before freshman year and another gap year between sophomore and junior year working in education and edtech, and hopes to work with it in the future in one way or another. Outside of class, Marcus likes to read, go running, hike the dish, play tennis, listen to ABBA, read random wikipedia entries, and most of all spend quality time with friends. He is super excited to be working in the Office this summer and getting to know all the families! Three things I love to do at Stanford outside of class: ~Theater/acting~ (with the Stanford Shakespeare Company or Ram’s Head Theatrical Society!! ), writing (for the Daily or for Gaieties or just in a journal), and driving to Half Moon Bay (or truly anywhere off-campus) with friends! I could talk all day about: theater, science fiction or fantasy books, A Series of Unfortunate Events (books and Netflix original), and the importance of a good night’s sleep. I would love to connect with guests who work in fields related to…: entertainment and media (TV, video games/virtual reality, etc. ), writing, publishing, any sort of intersection between Humanities and other disciplines! A little more about Meg: After an wild and wonderful summer in the Chicken (YEAH CHICKEN!!!) Meg is STOKED to be joining the snoopers this summer for three months full of magic, adventure, and of course, snooping!! Some of her favorite things include spending time with her family (parents, three younger siblings, and yellow lab! ), jamming with friends on the ukulele, guitar, or any other instruments, exploring new places, and trying new things (last summer was the first time she slalom water skied and sang in front of an audience!) Meg spent this past spring quarter studying in Santiago, Chile and is excited to bring all of her experiences and stories with her to camp. At camp you can look for her roller blading down rustic row, playing ukulele at the picnic tables, or wiping out on the lake as she attempts to learn how to wake board. I could talk all day about: Storytelling!! A little more about Megan: Megan is back at Sierra Camp for her third and final summer after a brief hiatus. Last summer, she joined the mermaids who live in the petrified forest at the bottom of the lake and enjoyed three months of frolicking, singing, and general mermaiding. Throughout her journey, she did meet some mermaids that were interested in precisely what she is—creative non-fiction writing, journalism, theater, improv, comedy, friendship, and cats. What luck! But then she began to miss the air and the sunshine and mostly the people, so she’s excited to spend this summer back on land with the most glorious people of all–the teens. The transition hasn’t been seamless, though—sometimes she forgets that she again has two legs and starts flopping around as if she only has a tail. If you see that happening, just push her towards the lake. Lake magic heals all. A little more about Michelle: Michelle is JUMPING (jumping!!!!) for joy at the thought of another incredible summer at Stanford Sierra Camp. Michelle’s summer with the Snoopers expanded her definition of love, reminding her what it looks like to celebrate the pedestrian, non-events of everyday life. She grew up in Austin, Texas: a city known for its music and its breakfast tacos. Twenty-one years later, and she has only fallen more in love with both. Michelle is thrilled to spend her summer with the MUNCHKINS as they explore the wonders of SSC together! Three things I love to do at Stanford outside of class: Live at the Haas Center for Public Service (yay 24-hour access! ), ride the marguerite, document my life through pictures/videos. I could talk all day about: Public service, lactose, the social determinants of health!!! A little more about Molly: Molly Fogarty grew up in the “shadow of Stanford” and after making the long 1.5 mile scooter ride (better than a bike) to Stanford as a young Freshman she had no idea what to expect. She fell in love with the Haas Center for Public Service at Stanford immediately, and has enjoyed her time making excited announcements and colorful emails about ways for students to get involved in service! If she is not at the Haas Center, you most likely can find her at Philz Coffee because, as a local, she makes it her mission to convert anyone who still thinks Starbucks is adequate. While you may recognize her from the volleyball court last year watering the sand, Molly also loves capturing the lives of her friends and family through photos and videos, and is excited to return to camp this summer as one of the Photographers! Hometown: not sure: Meribel, Rhônes-Alpes? A little more about Nahla: Nahla found out recently that her name means “the first drop of water a camel drinks after a long journey in the desert” in Lebanese Arabic. Although she was excited to discover this, she is even more excited to learn about other people — their origins, their passions, their favorite food (ideally but unlikely lentils), the meaning of their name etc. Nahla doesn’t really know where she comes from, but she does know what she finds important in life — family and friends, curiosity, a love of nature and of humanity, and an inclination for spontaneity. When she’s not in class trying to make sense of this beautiful, crazy world (key word = trying), she loves exploring new places, reading fantasy novels, and spending time outdoors, be it hiking or climbing or skiing. Working as a scuba diving instructor, she’s spent the last few summers teaching people how to navigate the wonderful underwater world and, hopefully, spreading a passion for the ocean. As incredible as that was, she could not be more excited to spend a little more time above sea level and above the water as part of the SKI DOCK crew this summer!!! I would love to connect with guests who work in fields related to…: Conservation, environmental policy and advocacy, international relations, NGOs, and marine biology! A little more about Neil: Neil is a 21 year old 7 year old. Born a hippy in the Deep South, he has fallen in love with California and is 1234% excited to spend his summer hangin’ with the MENEHUNES at SSC! Neil didn’t grow up with much access to nature, but some transformative experiences have inspired him to pursue a career in conservation. He is looking forward to sharing his newfound passion with anyone and everyone willing to listen at camp! Neil began playing the cello when he was 4, and although his love for music has only grown, his desire to play in organized settings has dwindled because improvisational chaos is far more fun. His obsession with the ethereal essence of Pink Floyd, the freeform funk of Vulfpeck, and the poetic perfection of Kendrick Lamar led him to pick up the guitar and bass (so come jam!). Studying at Hopkins Marine Station, working in Palau, and spending 3 months in Australia and New Zealand infected Neil with a travel/adventure bug that will never quite be satisfied. Come talk to him about mangoes, cereal, the ocean, lenticular clouds, treeees, or whatever over an espresso! If you can’t find him, just follow the sound of the obnoxious (but infectious?) laugh. Three things I love to do at Stanford outside of class: skateboard, fish, and hike! I could talk all day about: urban design and skateboarding! A little more about Nico: Nico is ecstatic to return to camp for his third year! Growing up in Santa Cruz, Nico spent almost all his time in the outdoors. Whether this time was spent skateboarding, fishing, or hanging on the beach, you could always find Nico with a smile on his face. Nico is very excited to reconnect with the guests that make this place so amazing. Having worked with the Yahoos and Menehunes in the past years, Nico cannot wait to hang with the Midos! Talk to Nico about anything from music to urban design! As a recently graduated undergrad, Nico is both excited and nervous for the real world! I could talk all day about: Lakes, computational neuroscience, Unitarian Universalism / spirituality in general, mental health, Harry Potter, Star Trek, and anything you’re passionate about! A little more about Rozy: Born and raised in Minneapolis Minnesota, Rozy’s favorite pastimes include camping in the Minnesota North Woods, going to the MN Science Museum with her nerdy wonderful family, and perusing local curio shops to expand upon her eclectic pin collection. Rozy is SO ecstatic about everything related to camp, especially the music (she plays piano and attempts to dabble in guitar), the crafts (of all kinds, but especially those that involve nature or old wood scraps), the outdoor adventures (especially sailing and hiking), and of course, the people!! She enjoys doing math for fun and building somewhat useless electronic things, and her life aspiration is to learn to play the harp (if you know how to play, you’re already her hero). Her greatest achievement is becoming an expert at making chocolate chip cookies in less than eight minutes. A little more about Sam: I am stoked to be starting my Camp career and finishing up my Stanford undergraduate career in the Chicken and on the Boat Dock this summer!!! I love, love, love to travel and see and live in new places that can teach me a little more about the world and the people in it. I am a Southern boy through and through, so if you find yourself needing a little extra salt, butter, or general tastiness in your food, please just holler — you’ll more often than not catch me in the Chicken with some kind of soul, funk, or Southern rock/jam keeping me dancing. When I’m not in the Chicken, I hope to be exploring the nearby woods like Victor Frankenstein looking for his Creation, or maybe just learning from guests and former staffers alike what it is that makes this place so special. I could talk all day about: everything gender! Trans identities, the gender gap, feminism, femininity vs. masculinity, the binary, etc. I would love to connect with guests who work in fields related to…: Mechanical Engineering, Product Design, and Education!!! A little more about Shahpar: Shahpar is a shorter-than-average transguy who looks 16 but is actually 21. His height makes him approachable and huggable much like a teddy bear. After spending last summer doing two educational summer camps (one in France and one in Japan) teaching high schoolers the wonders of Spoken Word poetry and story telling, he is so incredibly excited to spend another summer surrounded by some TEENS!!! Shahpar is super passionate about informal education, and he thinks the richest education in your teen years is found in the experiences you have and the people you meet! He CAN’T WAIT to experience the magic of camp with you this summer!!! A little more about Shubhankar: Shubhankar (or Shub, Bonkers, Shubonks, or any nickname you can think of) grew up in Chicago’s suburbs, but after only one year here can confirm that sunny California is WAY better! At Stanford, he’s a part of the Speakers’ Bureau through which he’s met Susan Rice, Sal Khan, and other amazing people! He was also on Frosh Council and loved finding a group of peers who valued both community and leadership. At Camp you’ll catch him playing tennis, basking in the sun, going on hikes, or doing anything he can to find the right balance of active and relaxed. He knows it’s cheesy, but he finds beauty in night skies, sunrises, sunsets, and mountains, which he’ll have more than enough of this summer. He has so much more to share with you, like his fascination with languages or his widespread taste in music, so talk to him about these things and anything else you find interesting! 1) Is my dorm’s dining hall getting better or have my standards gotten lower? 2) What is my life’s work cited page? What have I taken from what individuals or experiences? 3) Dogs are amazing, we know that for a fact! But is loving dogs a beautiful, selfless act (since we are not expecting anything in return)? Or is it a product of narcissism because we subconsciously like being the center of their universe? 4) Seriously, have they improved the dining hall’s alfredo sauce? 5) If we have a baseline happiness level, why do we work towards new goals? Should happiness guide my life? If not, what should? 7) Why is there something rather than nothing? 8) Is there a limit to human intelligence and can we push it? Like will we ever be able to look up at the sky and see more than just colors? 9) One of my favorite authors, David Foster Wallace, wrote: “In the day-to-day trenches of adult life, there is actually no such thing as atheism. Everybody worships. The only choice we get is what to worship.” So what’s something worth worshipping? 10) An entire summer in Fallen Leaf Lake? How did I get so lucky? I could talk all day about: My friends and family, current events, representation/accessibility in theater, my past theater performances, all Oscar nominated movies, my adventures through Europe while studying abroad in Madrid! A little more about Susi: Hiya! I’m Susi! I just finished up my sophomore year at Stanford and am SO STOKED to be returning to camp this year!! While some of you may remember me as last year’s legendary hiking leader, instead this summer I’ll be livin’ it up with the MENEHUNES! I’m an extroverted gal with a hunger for adventure and a love of meeting new people. Around camp, you can find me with a book on the waterfront, chatting with guests in the fountain or perfecting my tie-dye skills. A little more about Thomas: Thomas is a graduating Senior who is stoked to be one of the hiking leaders this summer! As a SPOT and Adventure Program Trip Leader, and a Community Manager for Stanford’s Outdoor Themed House, Thomas can’t wait to explore Desolation Wilderness with you all. When not getting lost on hikes, Thomas will likely be paddleboarding, hanging out with the Midorees (his spirit-age group), or schemin’ in the fountain. At Stanford, Thomas was involved in many public service, international relations, and theater activities, so feel free to bother him about any of those. He also loves consuming media in all forms, so hit him up with book, movie, tv show, podcast, music, and play recommendations. Some random facts about Thomas: Thomas likes to eat really weird foods so that he can say he has (a big maggot, a live fish, a ghost pepper, to name a few), the name “Thomas” means twin—and Thomas has one, Thomas is distantly related to Winston Churchill, Thomas peaked in Middle School. I could talk all day about: Intergroup communication, what it was like to develop photos for my black and white film photography class, the ethnographies I read for my Anthro 1 class, Harry Potter, education, Germany/Berlin, my dog, diversity at Stanford and camp, and the “real” world. I would love to connect with guests who work in fields related to…: Social work, Education, Policy, Non-profits, elevating voices of those whose voices have not been valued! A little more about Tracy: Tracy grew up in Florida, a place she loves to complain about, but a place she recently has been missing and finding value in. She has a RIDICULOUS story to share about a manatee carcass and some Florida teens if you’re curious to hear. She loves to tell stories, has a very loud laugh, is probably hanging with Suaves while drinking lots of caffeinated drinks, and is including “learning to ski” in her Biosketch so that you all hold her accountable to actually doing it! Tracy “graduated” in the spring but has a quarter in Berlin to finish her International Relations requirements before she gets that beloved degree, so talk to her about all things (or no things) German! She loves to chat! A little more about Trey: Much like the characters in many a musical, Trey is a small-town boy who came to a big city to find himself and perform on the big stage. At Stanford, he’s been involved in a cappella (the Mendicants), dance, and musical theater (Ram’s Head Theatrical Society). Feel free to ask him about his time spent off-campus in New York City, South Africa or Ghana! He hopes that you come to see this summer’s play on Wednesday night and he’s so thankful to be back at Camp after two summers away as a MiDoReEs counselor. I would love to connect with guests who work in fields related to…: Health, education, anything really! A little more about Wesley: What’s up! Full name Wesley Nii Aryee Joseph Annan but I’ll go by Wes, Big Wes, Nii, or whatever nickname sounds cool. Teddy bear by nature and i’m always down for a hug or cuddles. I grew up looking like an off brand Lil terio until I hit a growth spurt in grade 6. One of my favorite memories is playing flag football with duck feet I was far from growing into. My favorite things in the world are froyo (but lactose does me dirty *sigh*), music, poetry, my bed, meeting new people, kids, and movies. I’m from the frozen North and rep T dot all day (natives don’t call Toronto the 6). Ask me about anything and everything, I appreciate curiosity! I’m from a proud Ghanaian family which birthed my love for music and busting janky dance moves… seriously, I truly believe i’m Chris Brown sometimes. Smile & Wave is probably my mantra. Three things I love to do at Stanford outside of class: Go on long walks and runs off campus to discover new things! A little more about Zoe: Zoe may have grown up in the rainy Pacific Northwest, but she is so excited to soak up some sunshine at Fallen Leaf this summer – and to be working with the Menehunes! She loves teaching creative writing workshops to second graders in Palo Alto, hiking and adventuring with other members of Outdoor House (where she lives on campus), and studying everything from ethics to Shakespeare to photovoltaic arrangements. She can normally be found getting overexcited about life and drinking excessive amounts of tea, and she’d absolutely LOVE to listen to any and all stories!